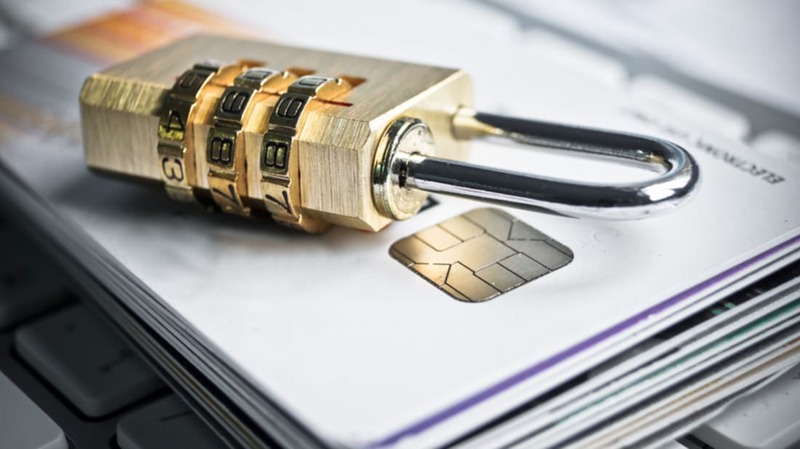 With hackers and data breaches making headlines around the world, protecting your sensitive personal and financial information is more important than ever. But safeguarding your name, birthday, Social Security number, passwords, and credit card numbers can be a big job. Here are eight smart ways to protect yourself against identity thieves who want to steal your information to rack up purchases, open accounts in your name, or file fraudulent tax returns. 1. SIGN UP FOR MOBILE BANKING ALERTS. Besides regularly reviewing your credit card and banking monthly statements, sign up for alerts. Most financial institutions will contact you by email or text when an uncharacteristically large withdrawal or purchase above a certain amount occurs. Download your bank’s official mobile app so you can monitor your accounts from your phone. And if you spot any unauthorized purchases, contact your financial institutions immediately. 2. MONITOR YOUR CREDIT REPORTS. Every 12 months, you can get a free copy of your credit report from each of the three major credit reporting agencies. Read your credit reports to make sure that they don’t contain any incorrect addresses or accounts that you didn’t open. If you see something suspicious, contact the credit reporting agencies and your bank, stat. 3. DON’T BE LAZY ABOUT PASSWORDS. Saving passwords to your computer’s password keychain may save you time, but doing so can make you vulnerable to a security breach. Besides using complex usernames and passwords (random strings of letters, numbers, and symbols), you should change your passwords regularly, especially for your banking logins. And only sign in to banking websites when you’re on a private, trustworthy Wi-Fi network. 4. BE WARY OF UNSOLICITED EMAILS. Identity thieves can trick you by sending you an email that looks as if it came from a legitimate company with which you do business. If these phishers send you an unsolicited email from what appears to be your bank, be careful. Don’t click on any links in the email, or you run the risk of getting malware installed on your computer. Scammers may also call you, claiming to be an employee of your bank and asking you to reveal your account number, Social Security number, or other personal information. Instead of responding, contact your bank directly (using the number on the back of your card) to find out if the email or call is legitimate. 5. USE A CROSS-CUT SHREDDER. The internet allows plenty of fun new opportunities for hackers to steal your identity, but low-tech identity thieves aren’t yet a thing of the past. Because these thieves steal your trash, looking for mail or other documents that contains your personal information, it’s important to get in the habit of using a cross-cut shredder. Before you throw them out, shred any credit card offers, bank statements, utility bills, receipts, and even the labels on your prescription pill bottles. 6. LIMIT WHAT YOU SHARE ON SOCIAL MEDIA. Identity thieves love over-sharers. Whether you share your birthday on your LinkedIn profile, your phone number on Facebook, or your pet’s name on Twitter, you’re making yourself vulnerable to identity thieves who may be on the hunt for answers to your security questions. For all your social media accounts, make sure your privacy settings are strong, you aren’t friends or connections with people you don’t know, and you haven’t unknowingly shared too much personal information. Some identity thieves steal mail from mailboxes, hoping to find bank or credit card statements, pre-approved credit card offers, and other sensitive documents. To safeguard yourself against this type of identity theft, put a lock on your mailbox and retrieve your mail as soon as possible after it’s delivered. If you have outgoing bills to send, drop them off at the post office (or a secured drop-off box) instead of leaving them in your unlocked mailbox. And when you leave town, get a mail hold from the post office so your mail doesn’t pile up. 8. KEEP IMPORTANT DOCUMENTS IN A SAFE. Putting all your important documents in a safe can protect your information from getting into the wrong hands. Keep your Social Security card, passport, birth certificate, extra checks, copies of your health insurance cards, and a printed page of your important passwords in a safe. Just make sure to bolt your safe to the ground, otherwise a thief can take the safe with him.